One of the best things about movies is how this art form can inspire millions of viewers. They make us laugh, they make us cry, they even make us cheer! When we see underdogs take on extraordinary goals, despite all adversities and difficulties, we can relate to them. We all need that inspiration. Great movies with powerful uplifting stories can deeply influence our lives and motivate us to push boundaries. Zee Cinema's new brand philosophy Jazba Hai Jeene Mein, Jab Cinema Hai Seene Mein captures this emotion of achieving the unachievable. A logical deduction of this philosophy, Zee Cinema's brand positioning Seene Mein Cinema is aimed towards inspiring every Indian to make the most of everything that life has to offer. Zee Cinema is committed to bringing its audience magical stories that inspire millions of Indians to pursue their dreams and live the lives they always desired - 'Cinema Size'. The channel released a brand film during the glittering Zee Cine Awards 2019. The film reflects the new philosophy and positioning, accentuating the essence of inspiration and motivation. Hindi Cinema has gone through a lot of transition and progressed over the years. From movies that touched upon an array of topics and depicted the golden era to showcasing masala and romantic movies set in foreign locales to the latest movement of inspirational films. Zee Cinema has a huge library to satiate everyone's entertainment taste buds. With the brand repositioning the channel intends to break through the clutter and cement its position as a thought leader and a distinct channel that has a strong emotional connect with its viewers. While Zee Cinema has always been a 'Champion of Cinema', as a market leader the channel now wants to consolidate its position as a 'Champion of Culture'. Zee Cinema boasts of a wide range of inspiring movies like Simmba, Uri, Manikarnika, Zero, Dangal, Raazi, Satyamev Jayate, Secret Superstar, Toilet - Ek Prem Katha, Parmanu, Padman, amongst many others. With the stories that Zee Cinema showcases, the channel wants to inspire the audience to live life cinema size and progress from being the mecca of entertainment to becoming a beacon of inspiration. Every Indian has the motivation and drive to chase their dreams and work towards fulfilling it. Young India is willing to experiment with the various choices that they have. 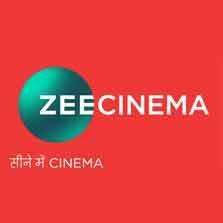 The never say die attitude of Indians and their zeal to dream and conquer has been the inspiration behind Zee Cinema's new brand positioning. Prathyusha Agarwal, CMO, ZEEL, said, "It is said that life inspires movies. With our new brand philosophy 'Jazba hai jeene mein, jab cinema hai seene mein' we want to urge our viewers to take inspiration from cinema and chase the extraordinary. It is the spirit of seeing the silver lining and the belief that nothing is impossible that helps us sail through the most difficult situations in life. Hindi Cinema boasts of many inspirational stories that give us the courage to take a leap forward. The brand positioning 'Seene Mein Cinema' celebrates the jazba that is hidden inside every individual and would like to encourage them to embrace life with open arms." Ruchir Tiwari, Business Head, Zee Hindi Movies Cluster, said, "2019 is special for us as we are hoping to build an even larger organic and loyal audience base with the brand repositioning of our marquee channel – Zee Cinema. Since its inception, the channel has stood for three things: Movies, Masti and Magic. When we see underdogs take on extraordinary goals, despite all adversities and difficulties, we can relate to them. New age Cinema is all about bringing the extraordinary together to create nonchalant magic. With the commencement of a new era in cinema, the brand decided to undergo a total visual transformation including a shift in brand focus - Seene Mein Cinema. As ZEEL completes 25 years, this not only makes us feel extremely proud but also encourages us to do better. The channel's initial thought was to be the go to channel for Bollywood fans, but today we have managed to re-define ourselves and create a category for ourselves. This year we want our viewers to break away from the shackles of their shortcomings and live a life that is an inspiration for all. We are defined by the moments when we decide to never give up and take that risk. Our new brand campaign is an ode to all who have the jazba in them to not let the hurdles of life demotivate their spirit of living." Zee Cinema's brand film that was unveiled for the first time during the Zee Cine Awards, highlights the channel's new positioning 'Seene Mein Cinema' with a light-hearted take on life's struggles. The film opens in a doctor's cabin, where a man learns about being diagnosed with cancer. Right from the moment the news is broken to the patient, to the moment where his family throws a party to celebrate his life; the man draws encouragement from cinema to overcome the hurdles and live life to the fullest. The man who is a die-hard Bollywood fan exemplifies the channel's positioning of 'Jazba Hai Jeene Mein, Jab Cinema Hai Seene Mein'. 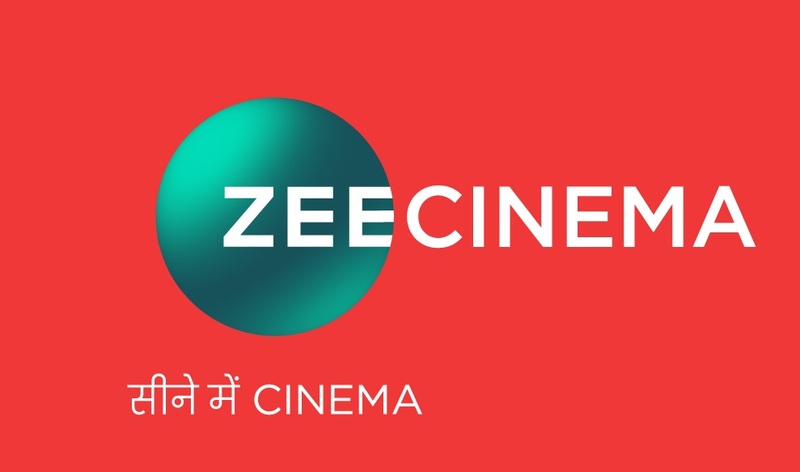 As Zee Cinema adopts 'Seene Mein Cinema' as its brand positioning, starting 31st March 2019, the channel will inspire more and more audience through its content offering.